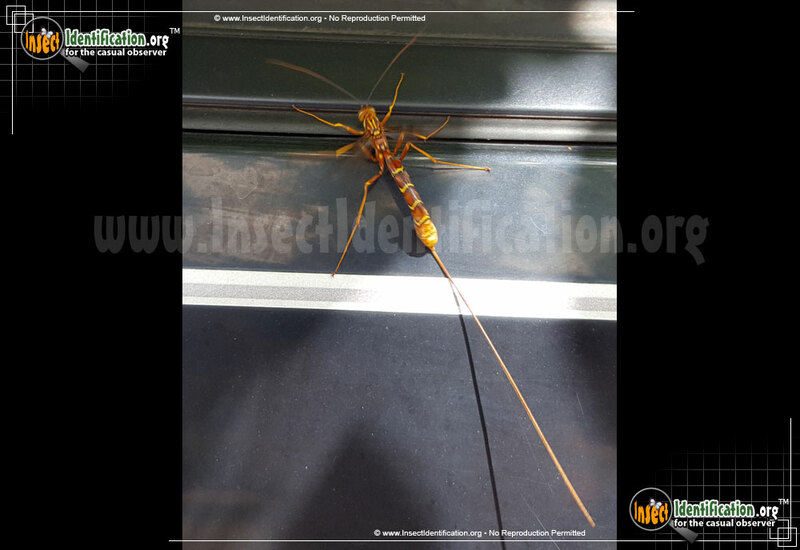 Detailing the physical features, habits, territorial reach and other identifying qualities of the Giant Ichneumon Wasp: Long-tailed. 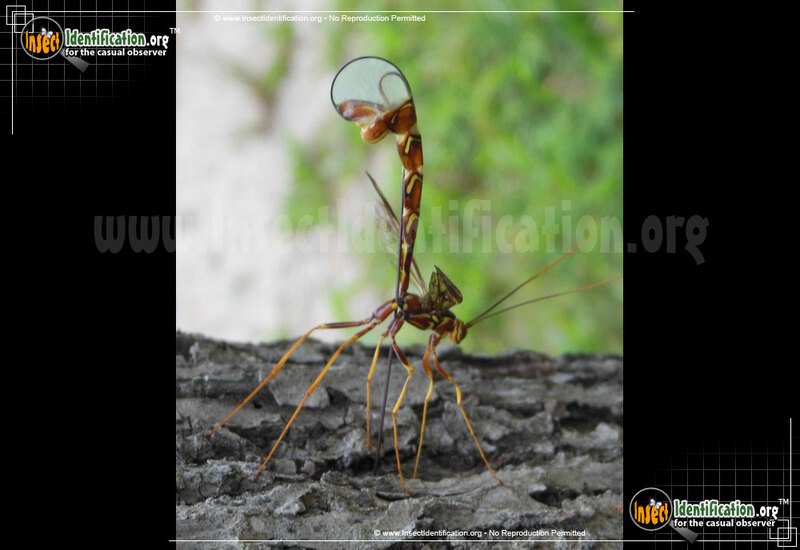 Females with long syringe-like ovipositors may strike fear in humans, but these 'tails' are designed to bring forth life, not ruin someone's day. 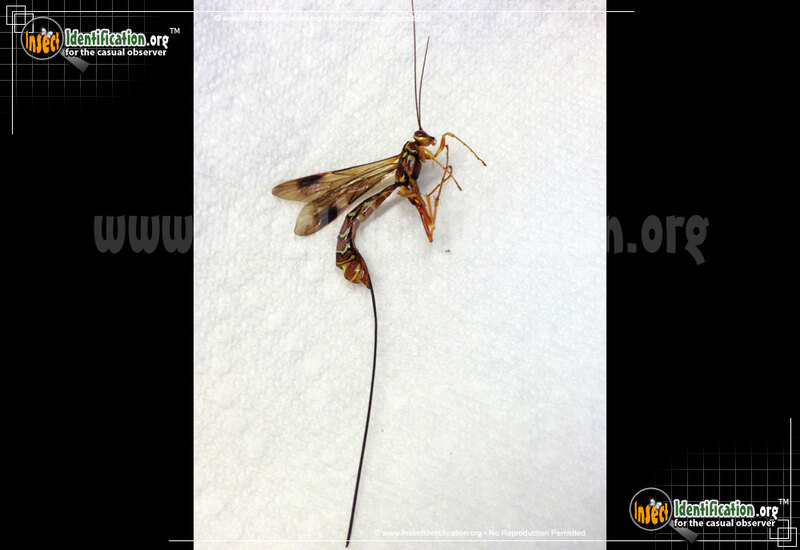 Ovipositors on females Giant Ichneumon Wasps double the length of the actual wasp. 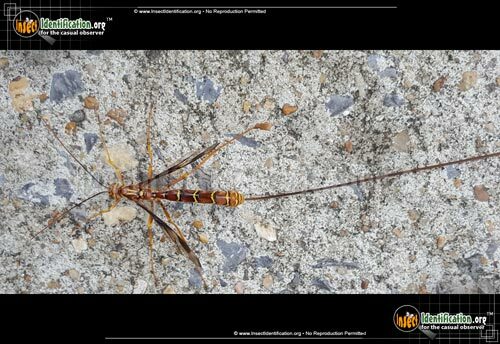 The skinny, tube-like ovipositor is not a stinger and cannot sting. 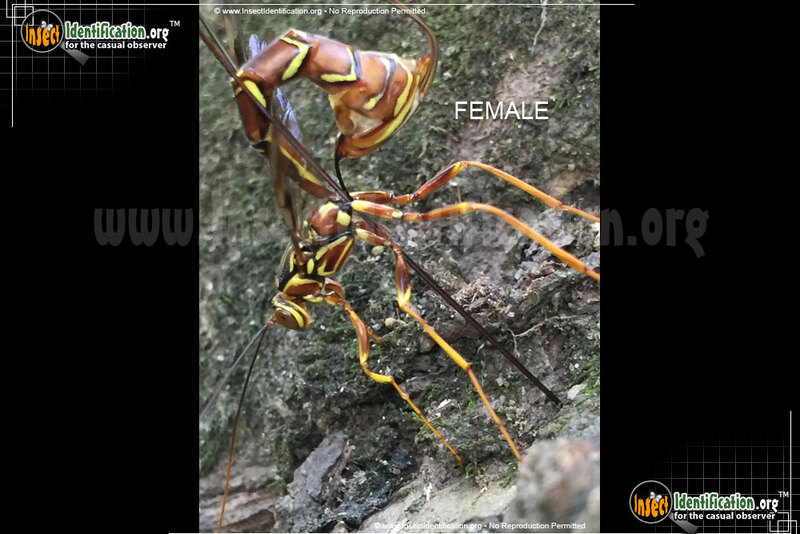 It is somewhat flexible near the abdomen, but rigid enough at its tip to pierce tree bark and wood allowing the female to deposit her fertilized egg inside of the tree and not on it. 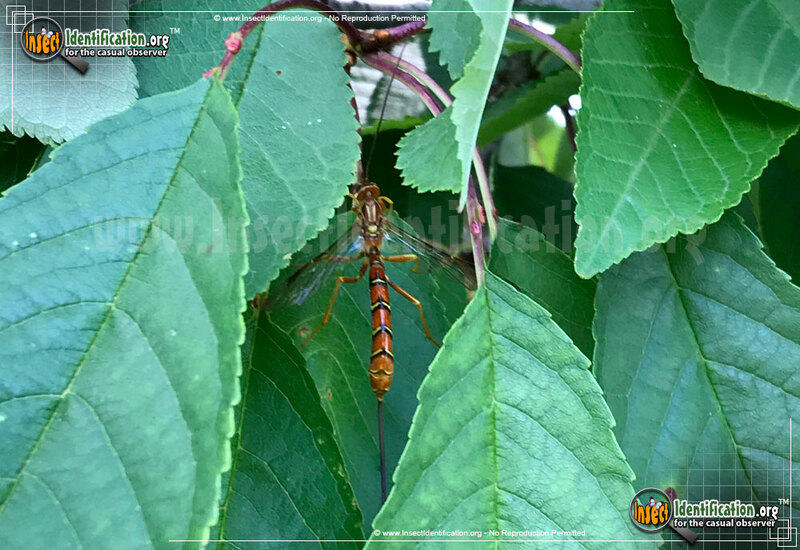 Two benefits of this are protection for the eggs from the elements and predators, and close proximity to a food source. 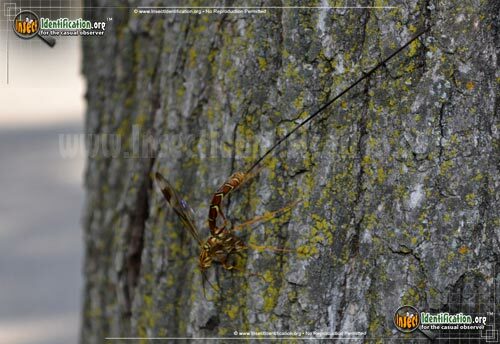 This species of wasp is actually a parasite of another species of wasp, the Pigeon Tremex, a type of Horntail that also injects its eggs into tree bark. 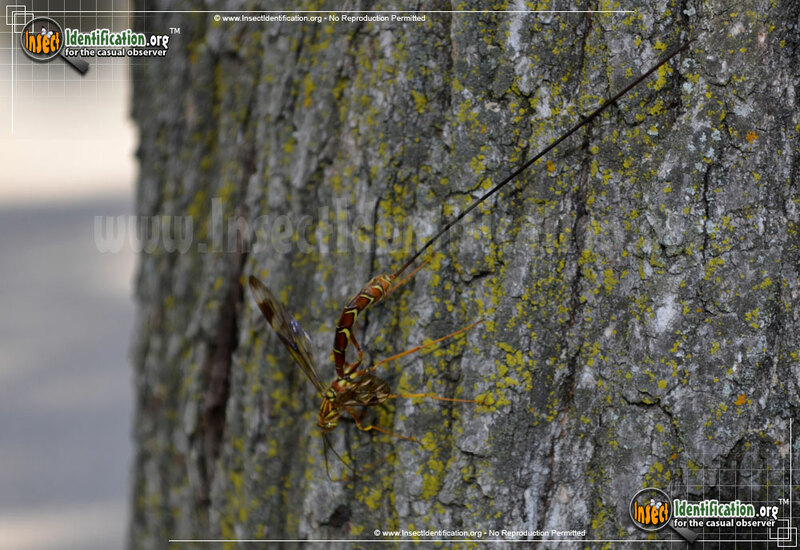 The Giant Ichneumon female searches for holes that already harbor a Horntail larva. She will then inject her egg on it, or next to it. Her larva will feed on the Horntail until it is ready to pupate. 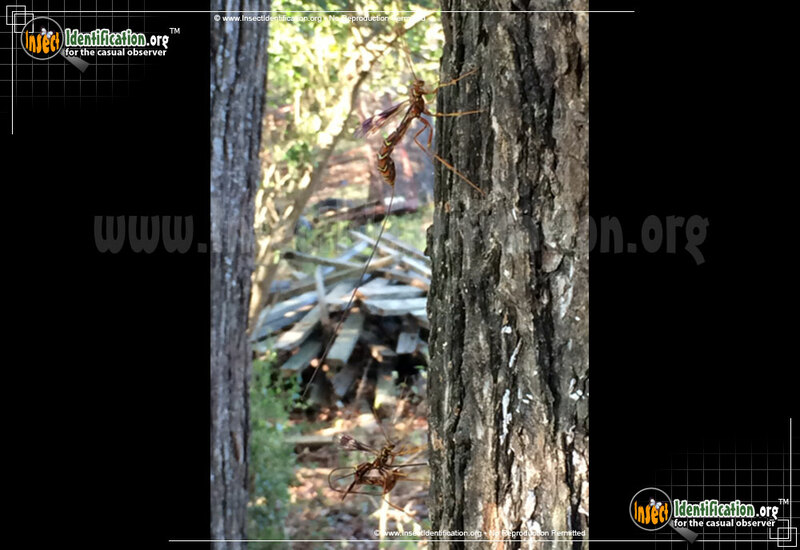 Winged adults emerge from the tree.